Porsche Classic has built, what must be, a highly desirable collector’s item: The last 911 Turbo with an air-cooled engine, 20 years after the end of series production. The design of the 993-generation 911 Turbo is based on an original bodyshell, and the vehicle’s appearance is just as unique as its history: Painted in Golden Yellow Metallic, it references the 2018 911 Turbo S Exclusive Series. The black wheels are highlighted by Golden Yellow design accents, while the seats and interior trim are finished in black with Golden Yellow details. The bodyshell features the characteristic side air intakes of the 993 Turbo S that were also available as an option for the regular 911 Turbo in 1998. Developing 450 horsepower, the classic sports car will celebrate its world premiere at the Porsche Rennsport Reunion in Laguna Seca on September 27th, 2018. The collector’s item, which is limited to use on private tracks, will then be auctioned off by RM Sotheby’s at the Porsche Experience Center in Atlanta on October 27th, 2018. The proceeds will be donated to the Ferry Porsche Foundation, a non-profit organization established this year to mark the ’70 years of Porsche sports cars’ celebrations. 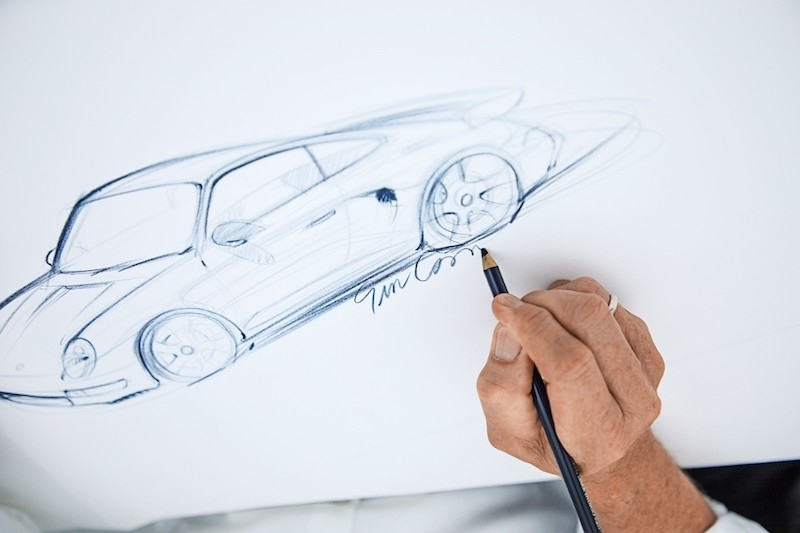 With this anniversary in mind as well as the forthcoming market launch of the Taycan as the first purely electric Porsche sports car, the experts at Porsche Classic came up with the idea of constructing a completely new vehicle based on an existing genuine type 993 bodyshell, showcasing both tradition and innovation. The experts were able to rely on a selection of over 6,500 genuine parts that Porsche Classic offers exclusively for 993 generation models. 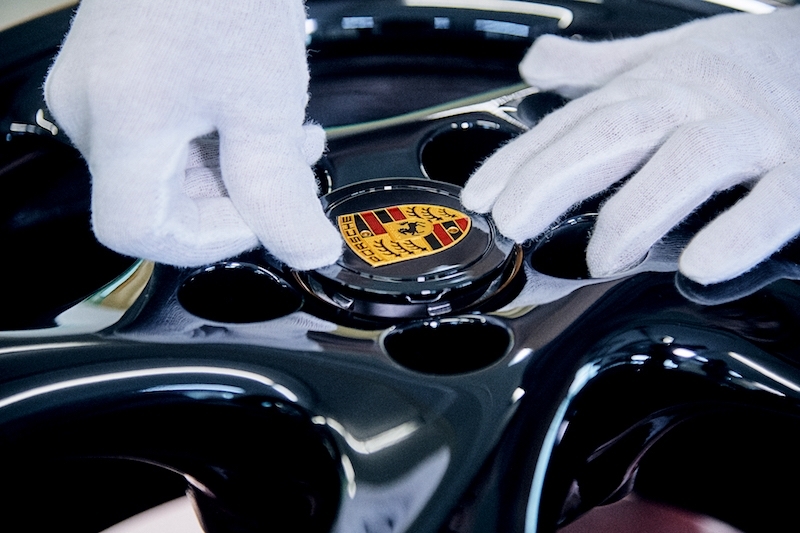 Overall, the Classic division currently stocks 52,000 parts, which can be sourced via Porsche Classic Partners and Porsche Centres around the globe to repair and restore classic Porsche cars. Construction of the unique vehicle took approximately one and a half years. 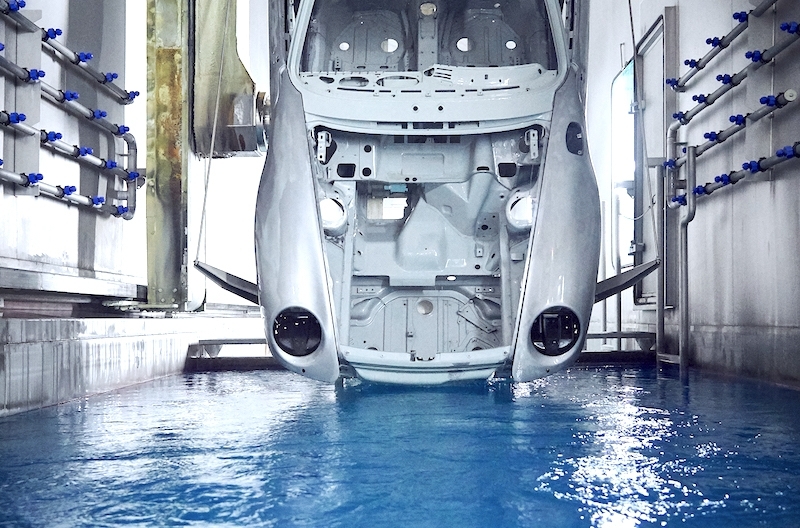 The bodyshell was first put through the corrosion protection and painting process applied to today’s series-production vehicles. The collector’s item was then assembled and tuned by Porsche Classic specialists at the Porsche restoration workshop in Stuttgart. A brand new 3.6-liter twin-turbo flat-six engine developing 450 hp was installed, delivering the performance the vehicle originally had when it was in production. The manual transmission and all-wheel drive were also sourced from the Porsche Classic range of genuine parts. The hand-stamped chassis number follows the last series-production model of the 993 Turbo which rolled off the production line in 1998. The 993 remains a sought-after collector’s item to this day; after all, it was the first 911 to feature a redesigned aluminium chassis, and was also the first to have a twin-turbo engine, making it the lowest-emission standard automotive powertrain in the world in 1995. The front section is lower-slung than earlier 911 models, thanks to a switch from round to poly ellipsoidal headlights. Hollow-spoke aluminium wheels, a first for any car with aluminium wheels, were another innovation of the all-wheel drive 911 Turbo version. Only 345 units of the 911 Turbo S, with its 450 hp performance-enhanced engine, were built.